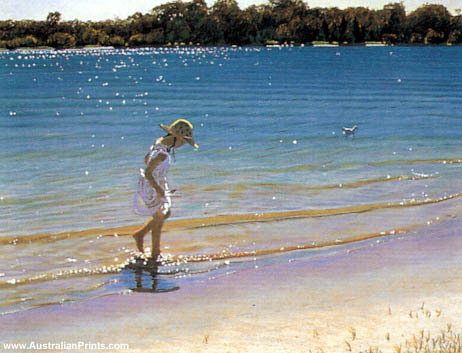 Robert Wells’ works hang in private collections in England, Hong Kong, New Zealand and throughout Australia. 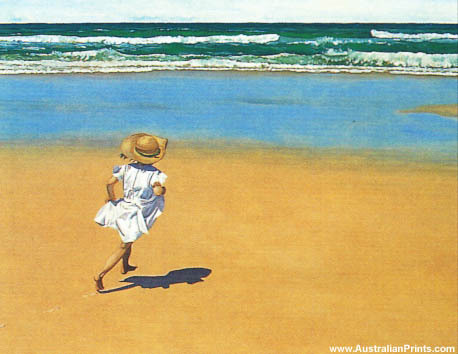 Born in Brisbane, Robert Wells now lives on Queensland’s Sunshine Coast. The artist says, “My work is a celebration of coastal climate, environment and lifestyle” and “My work celebrates the magic of living by the sea”. At the same time there is an element of nostalgia, a desire to preserve previous things from the ravages of so-called ‘progress’. Following a personal crisis during the early 1980s, these images emerged as life affirmations during a lengthy healing process. 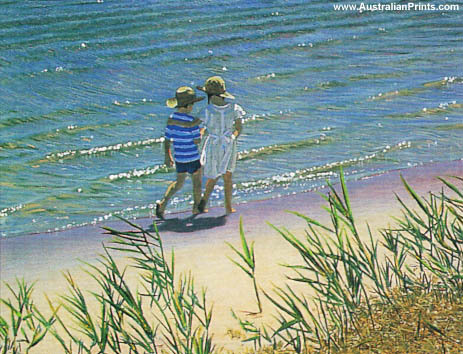 Now, surrounded by a family of artists, actors, musicians and jugglers, he lives and paints his vision of coastal life. The product of a romanticised vision, his work portrays a softened reality with no jet-skis, high-rise buildings or drink cans. 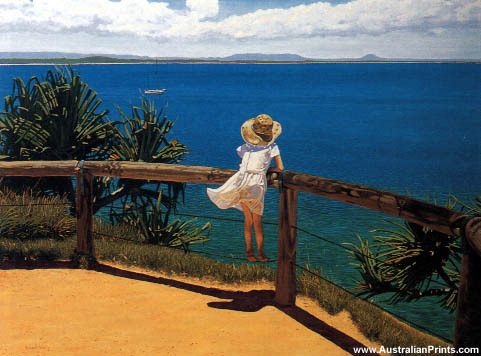 Wells has won several art prizes in Brisbane, Gympie, and Melbourne; and exhibited extensively, mainly in Brisbane and Noosa. Wells’ works hang in private collections in England, Hong Kong, New Zealand and throughout Australia. His images travel all around the world. Artist information page for Robert Wells.